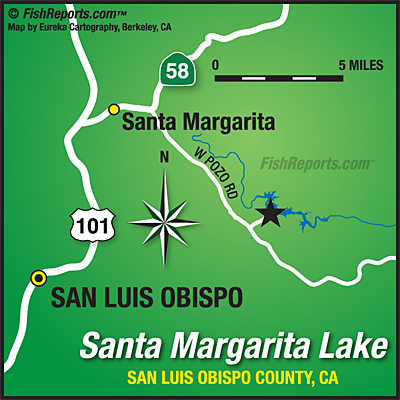 Fishing here at Santa Margarita has been fair this week. Bass are being caught with buzz baits, crank baits and the like. Pan fish are biting on worms and jigs in the coves shallower water. We have not heard much on catfish.